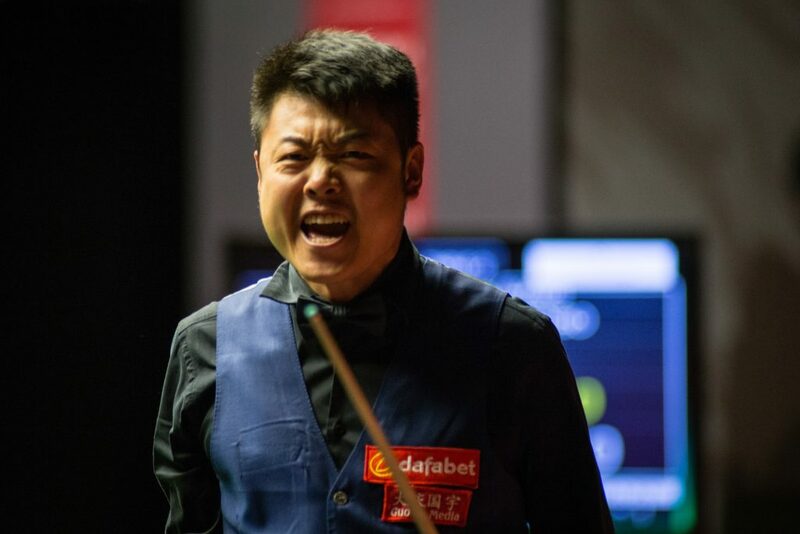 Liang Wenbo made the second 147 of his career to potentially cash in on the £40,000 prize for a maximum break at the Dafabet English Open. There were joyous scenes as the Firecracker erupted after stringing together fifteen reds with blacks and the colours to make the magic break. It saw the defending champion level at 3-3 with Tom Ford in his second round tie in Barnsley. It was the first 147 of the season and the 132nd in snooker history. Liang went on to win 4-3. The rolling prize fund for a 147 at the final stages of a ranking event goes up by £5,000 every tournament and has been building since Judd Trump’s max at last season’s China Open. If nobody else compiles a perfect break this week then Liang will take the £40,000, as well as the £2,000 high break prize.